Congratulations to Michaela! 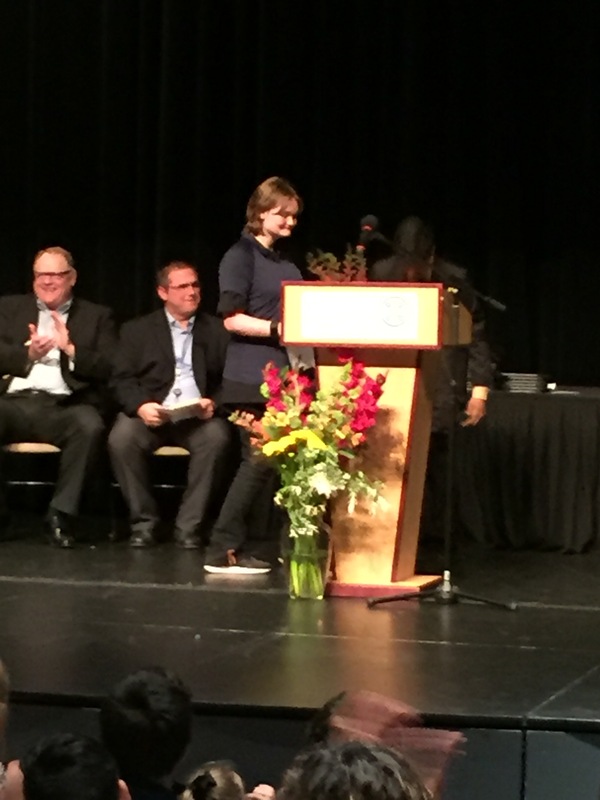 How wonderful that she was chosen to address the graduating students and that she was able to do so! I am sure you are all so very proud of her! Celebrating at the DQ sounds great to me! You’ve had a busy week with all that has been going on! A day at the river or lake with Jake, throwing stones, sounds like a good idea! Yesterday, we were reading the menu for one of a chain of diners (Denny’s; I don’t know if you have them up there) and they had a Star Wars themed menu, and I thought of Jake! Even if he might not eat the actual foods, he’d like the names! I’ll have to check out Denny’s menu!!! I have Jake for a lot of time this summer…maybe he could do chores for a trip to Star Wars food:). I will check it out. Thanks for the tip. Congratulations, Michaela! I think this week’s title is lovely. 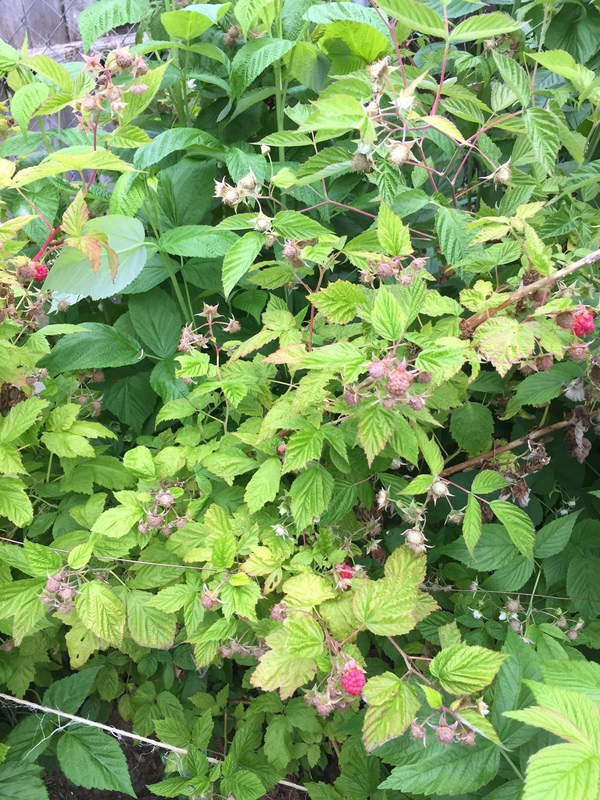 And those raspberries look amazing – isn’t it neat to watch as berries begin to ripen like that? I was in a hurry this morning, trying to post and get out the door. Let me know if it still looks wrong. I’m glad to get berries. 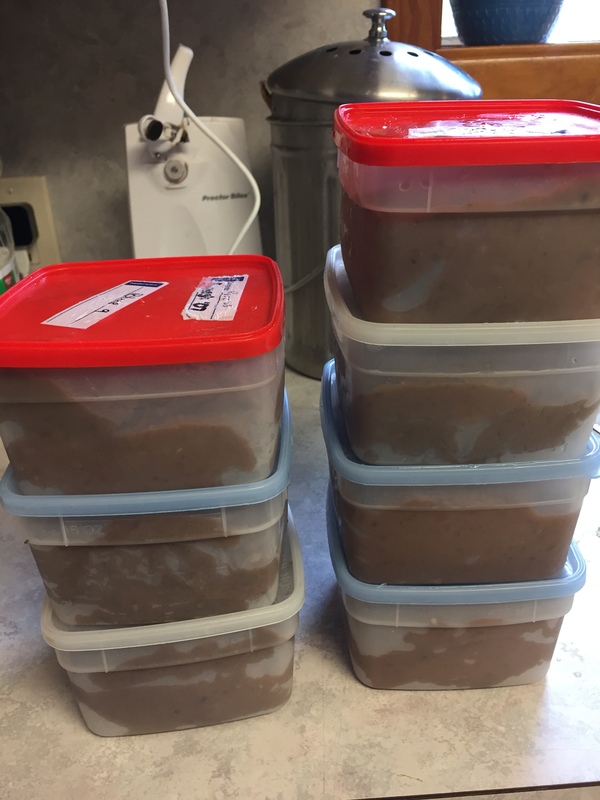 Love freezer cooking…………seeing all you have accomplished makes we want to do some of that too! Thank you for the motivation! I’ve done so much freezer cooking in the past, even so far as to do the 30 meal freezer cooking. It has been a great tool for me. Then, I’ve gone through times where I don’t do any at all! Right now, I’m trying to reach a balance with it–the best place to be in:). I really love having things already prepared at my fingertips for those busy days, but have to watch it or I stack up so many that we never get through them before they freezer burn!